There's a new green space just north of downtown St. Paul called Little Mekong Plaza. Though it's small, it symbolizes a lot to those who work and live in the neighborhood. Only about an acre in size, it contains a rain garden, a small wooden bridge, some half-circle benches, a peace pole to light up the plaza and a water pump for kids to play with. 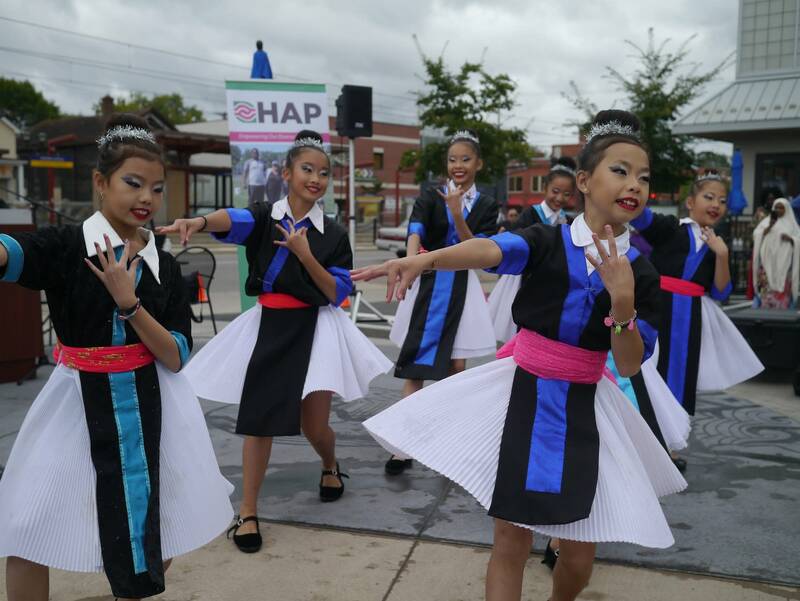 At a dedication ceremony Wednesday, a shaman blessed the plaza and young girls in traditional Hmong clothes welcomed neighbors and officials. "It is important that we recognize ... that our residents come from all corners of the globe, that they have to be part of the new future of the city of St. Paul," said Mayor Chris Coleman. "They have to be part of the economic vitality of our city. And by dedicating this plaza, I think we are really making that commitment." Many businesses in the area are owned by Asian-Americans and other minorities. "We are here creating a permanent presence, and Little Mekong is the very beginning of that permanency, that embraces not only the history of the Southeast Asian community, but our contribution," said Bao Vang, president and CEO of the St. Paul nonprofit Hmong American Partnership, which spearheaded this project. 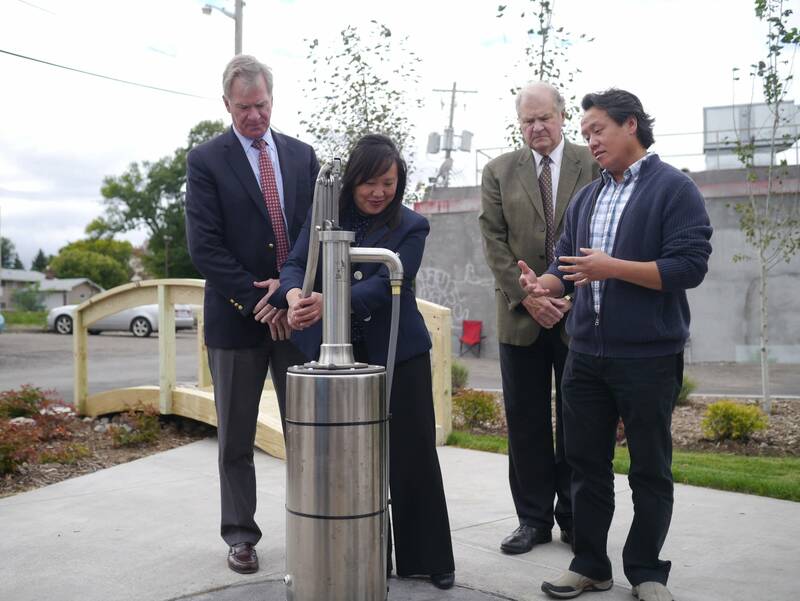 Bao Vang explained the purpose of an artist-designed water pump that's part of the plaza. "It's supposed to be interactive," she said. "So as they bring kids here, they can say, 'Here, the Little Mekong flows, and it cuts through Southeast Asia. And do you want to pump water so you can see how it flows?'" City Council Member Dai Thao said St. Paul is a special place, rich with diversity. The plaza introduces visitors to the history of Southeast Asia, he said, but "we should also take time to reflect and to not forget about the history and the people that came before us in this neighborhood, the Native Americans, the European immigrants, the African-Americans who have built and prepared this community, so that we can make the progress that we are making today." The Little Mekong Plaza cost more than $300,000 in grants and private contributions. Doualy Xaykaothao is a reporter for MPR News.